Columbia University’s Graduate School of Journalism and Stanford University’s School of Engineering are to receive a $30 million gift, Poynter reports. Made by former Cosmopolitan editor Helen Gurley Brown, the high-impact donation is slated to fund the creation of an Institute for Media Innovation. The funding of the Institute will also support graduate and postgraduate fellowships, both at Stanford and Columbia. It will also serve as follow-up money for the most interesting student projects, which will compete for ‘Magic Grants’ from the Institute. 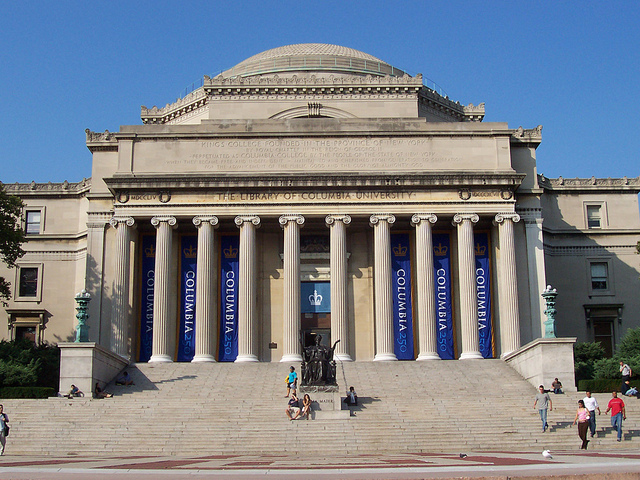 Besides this sum, both Columbia and Stanford will receive a whopping $12m grant to develop their side of the Institute, which will be co-led by an East Coast and a West Coast editor. While it is becoming crucial for news professionals to work on their technical skills, working closely with computer scientists is certainly an interesting way to develop the right mindset, as developers and journalists are becoming teammates. The fact that today’s announcement refers to “products and prototypes” is also an interesting sign of this convergence, as journalists are increasingly aware of the need to innovate and embracing the radical change the media are going through. Traditional media groups themselves have gotten closer to the tech industry, and the Institute’s board reflects this growing proximity, bringing together executives and board members from companies such as Hearst Corporation, Intuit and Apple. Knowing how important the iPad has become for the press, calling today’s announcement groundbreaking isn’t only press release hype, and we’re prepared to bet that interesting prototypes will come out of the Brown Institute sooner than you might expect.